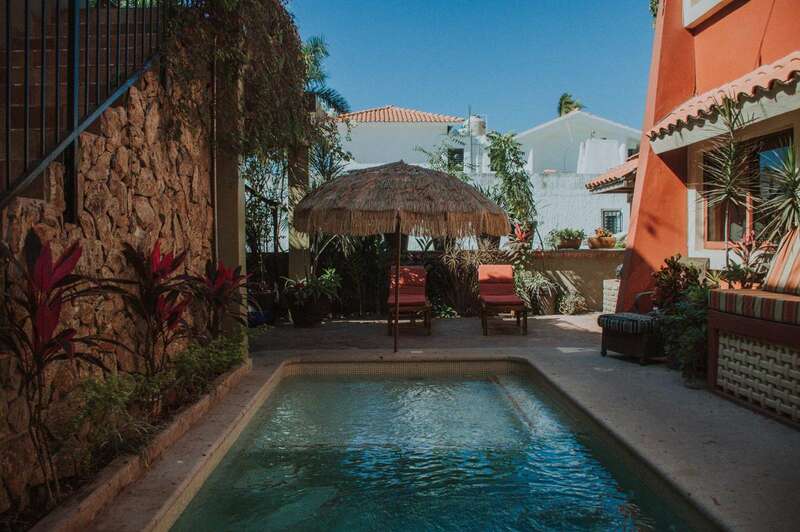 Estudio del Sol features a heated swimming pool and magnificent Golf Course views throughout the interiors and exteriors. 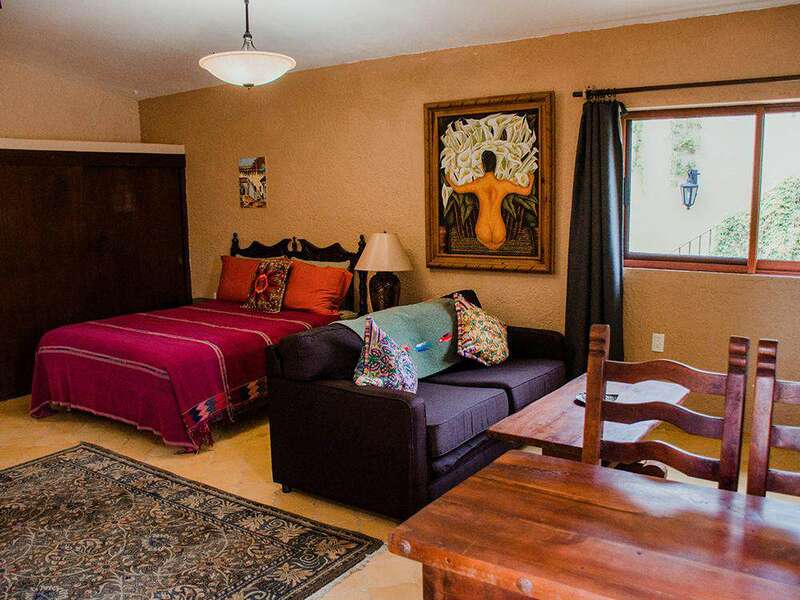 The property includes a media room with satellite TV and Wi-Fi access. 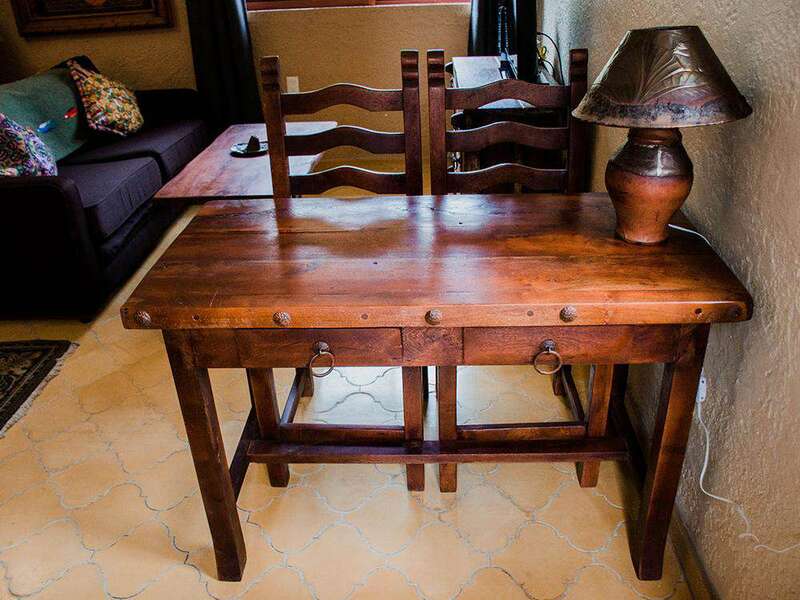 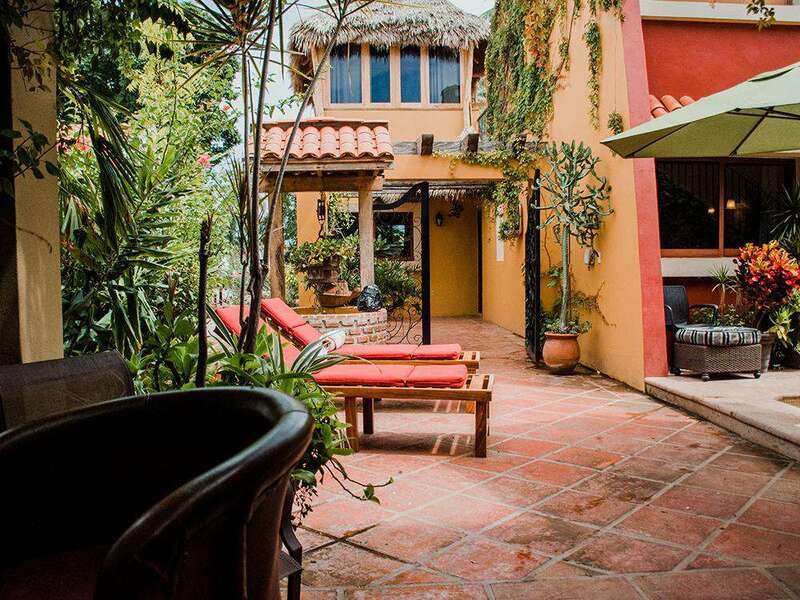 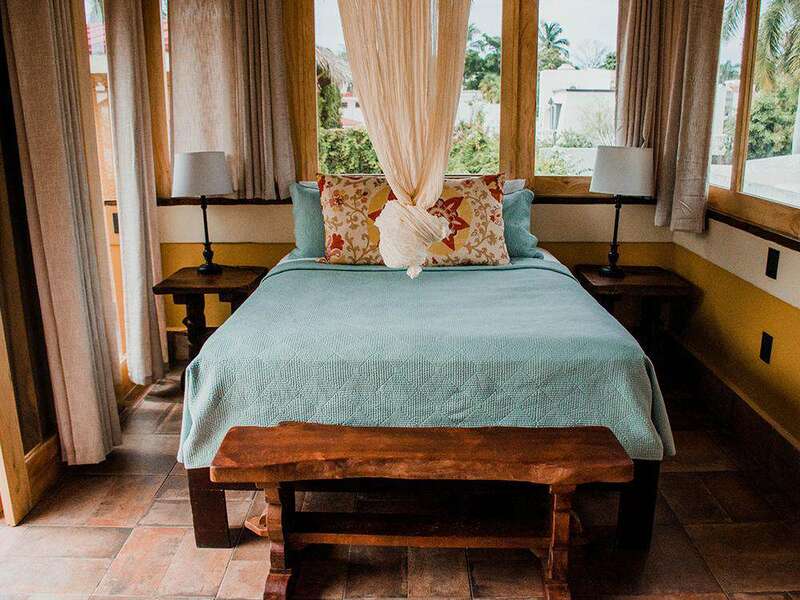 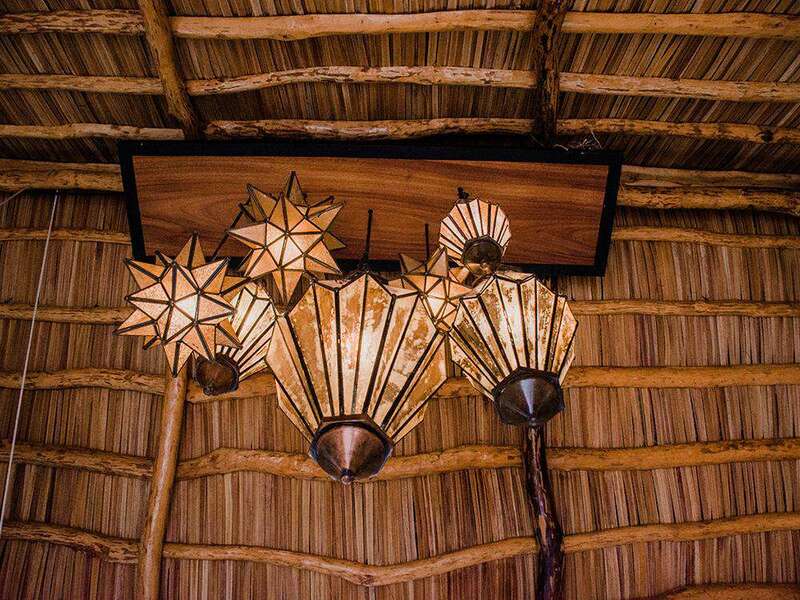 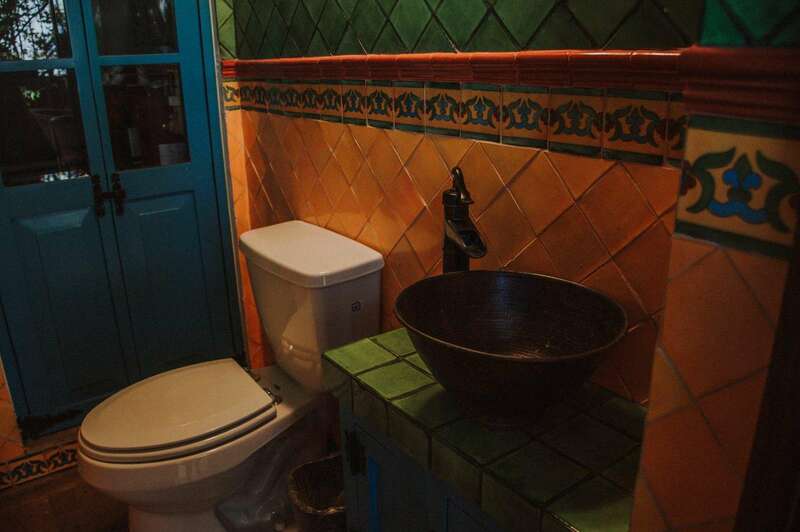 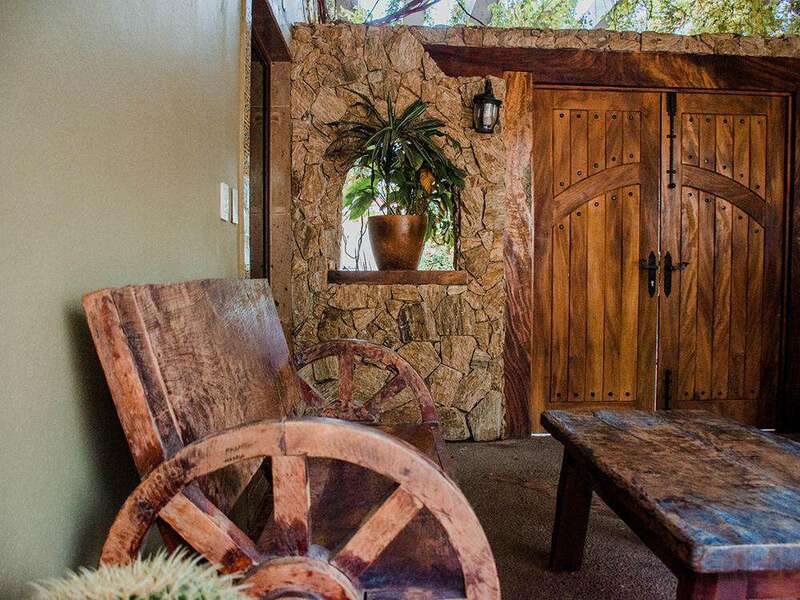 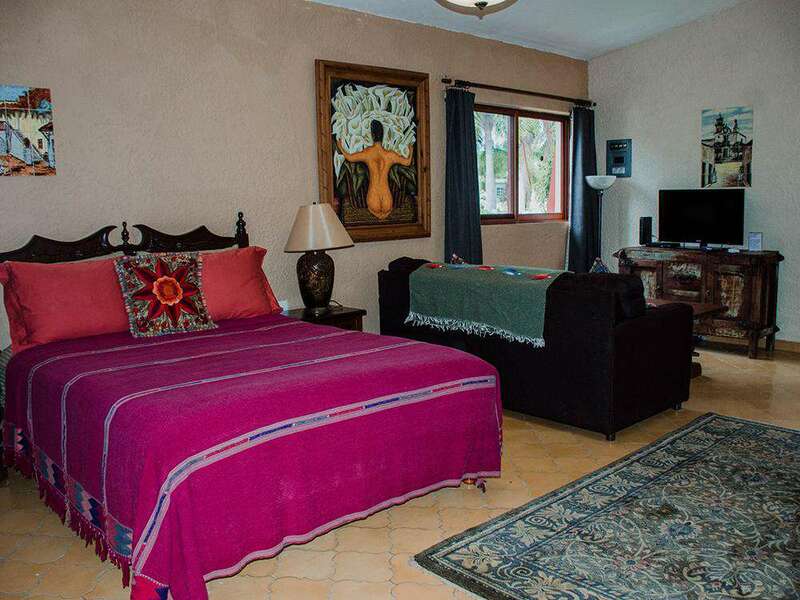 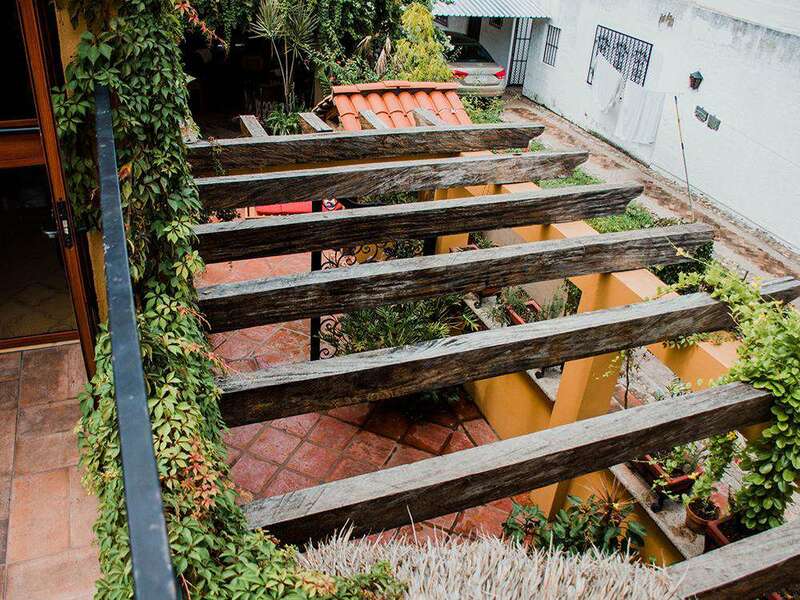 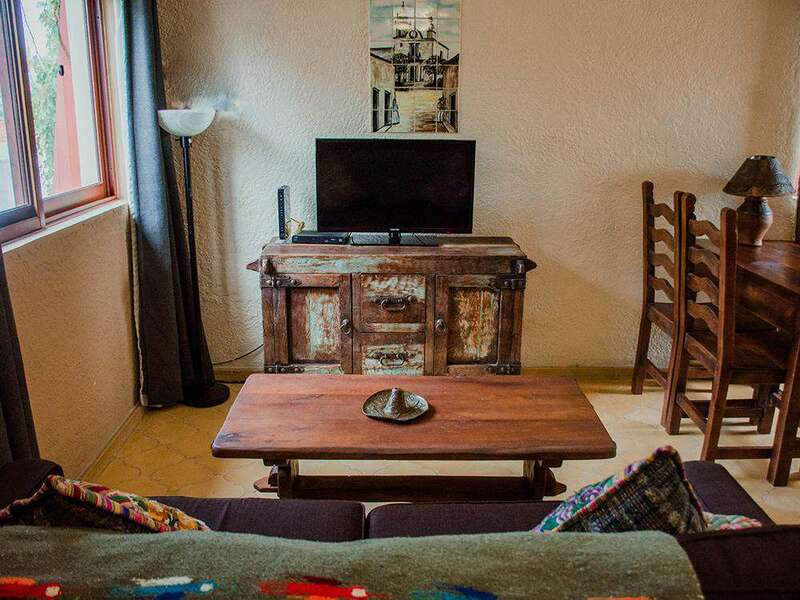 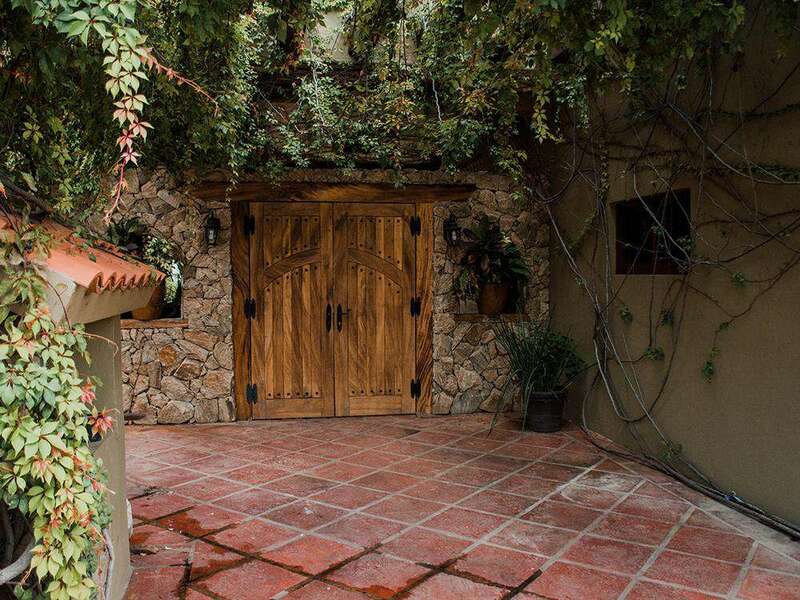 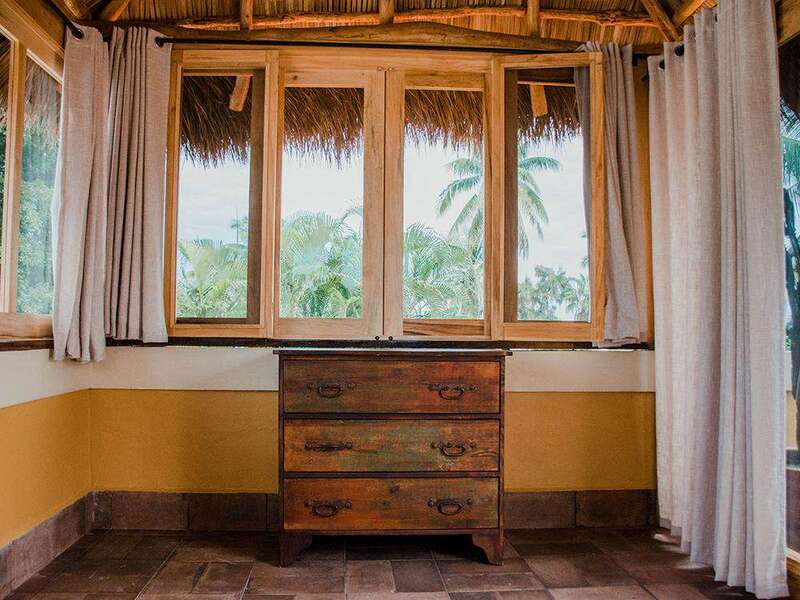 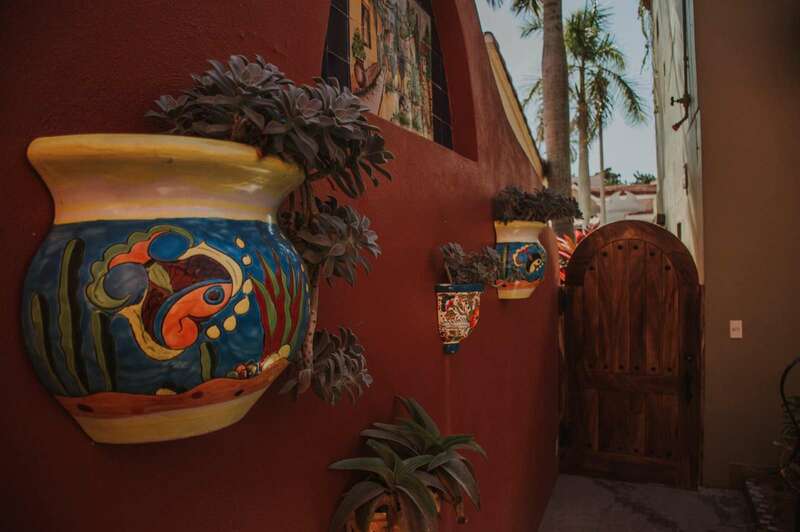 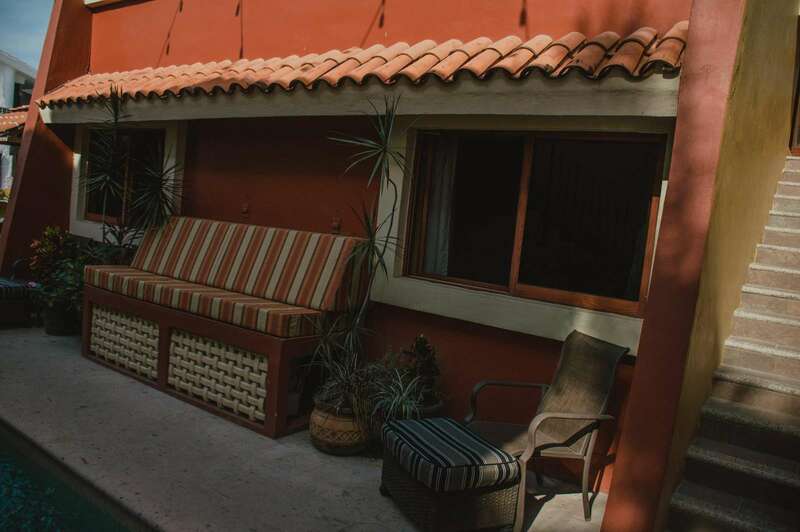 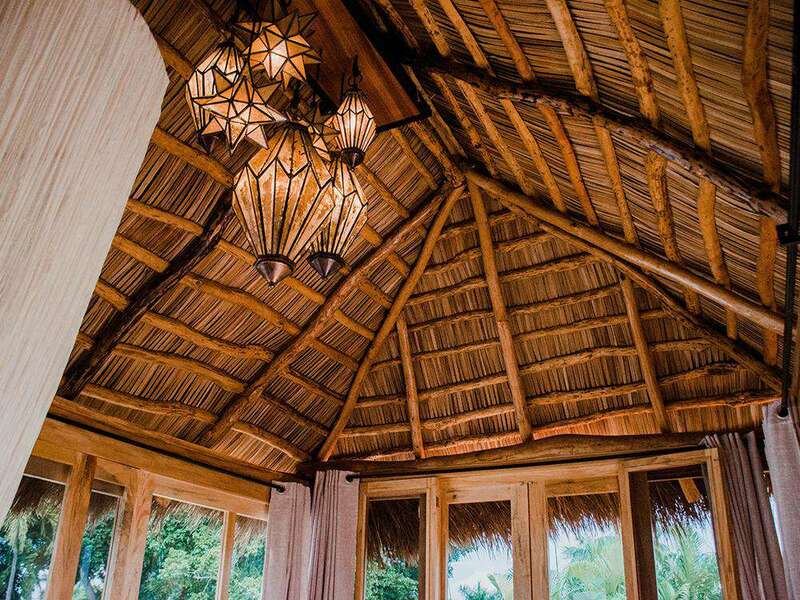 At Estudio del Sol, you will find comfortable furnishings, natural stone and tiles, beautiful fixtures, original artwork and antiques have been combined with authentic amenities to offer both stylish design and warmth to this classic Mexican Studio. 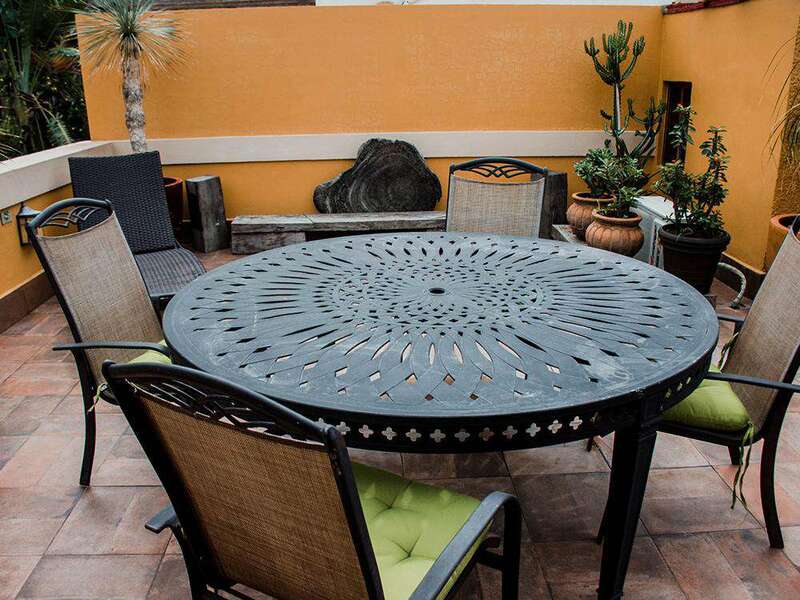 The living and dining areas maximize the indoor/alfresco lifestyle by providing easy access to the deck, and a kitchen that comes fully equipped. 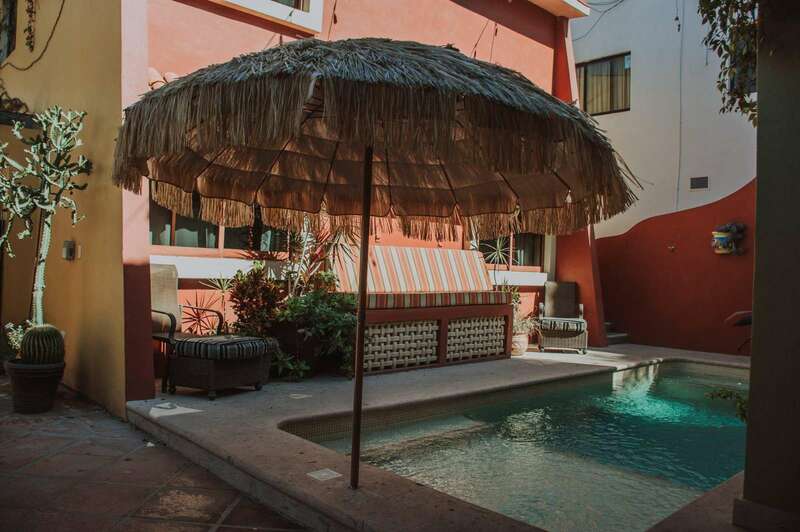 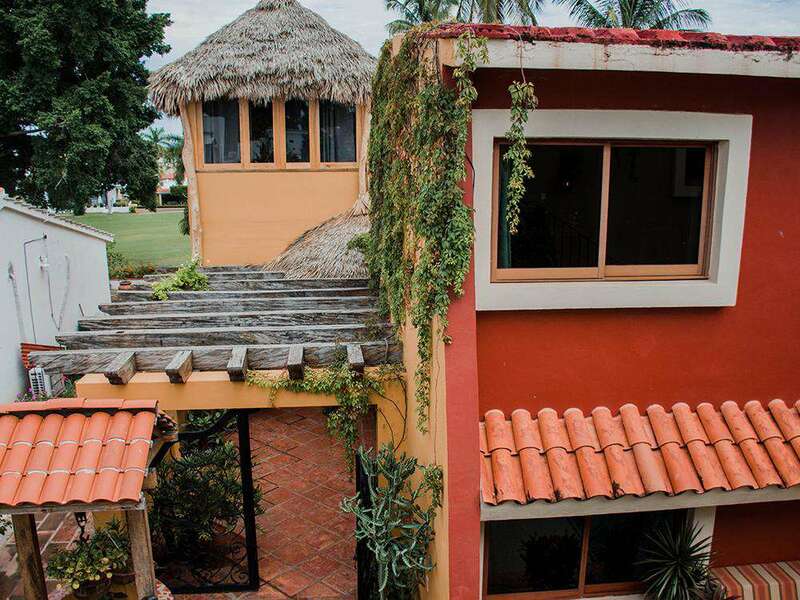 Capacious studio unit with one bedroom, fold out couch in the living room, along with 1 bathroom, accommodate up to four guests at Casa del Sol. 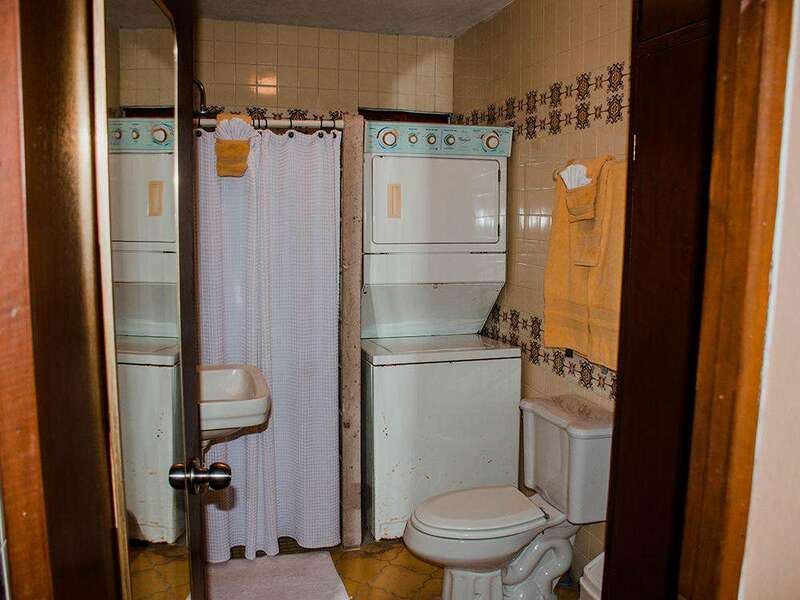 Children are welcome. 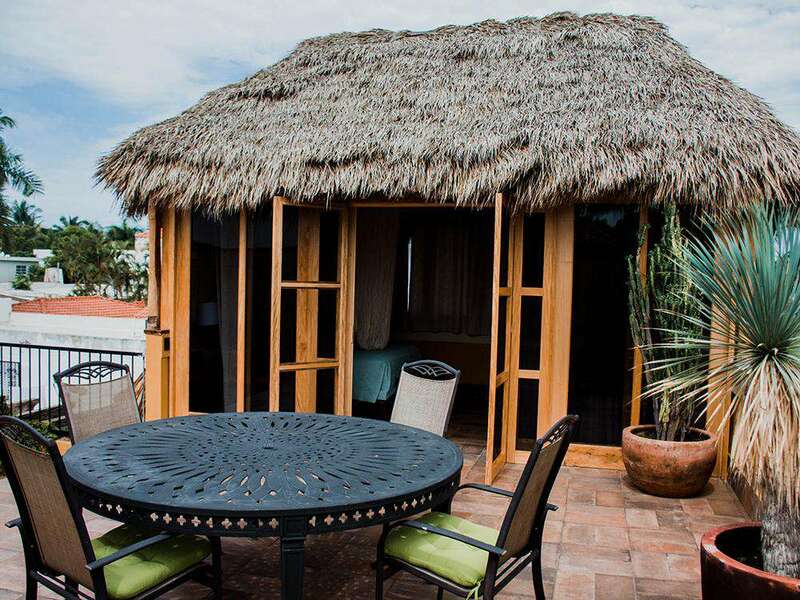 The studio includes air conditioning and terrace access, with mesmerizing Golf Course views. 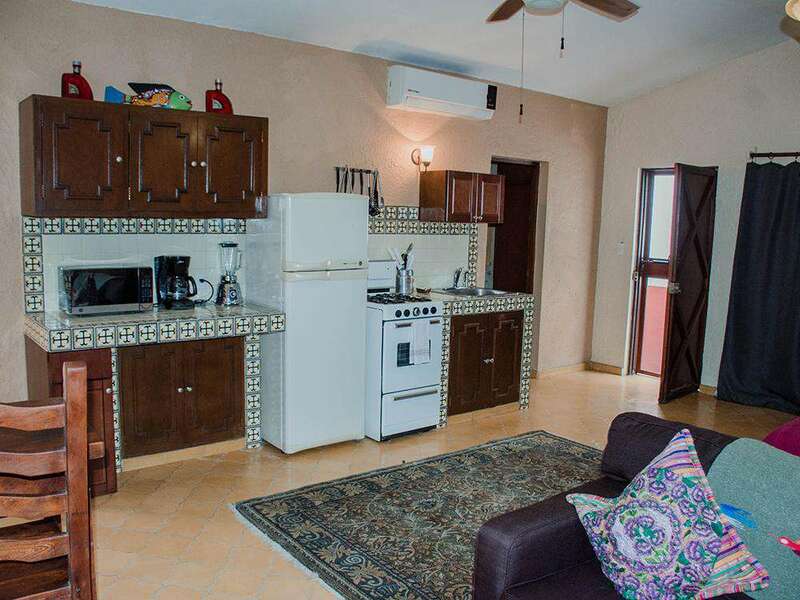 Kitchen- fully equipped with refrigerator, stove, microwave, small appliances, and dishes.